Hygge Hostel i Moskva, Rusland: Reservér nu! 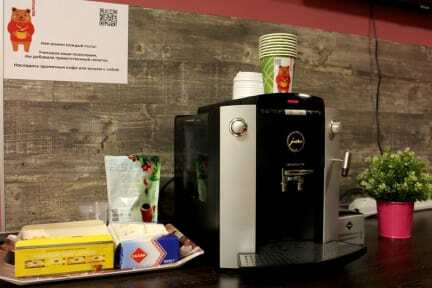 We have created this hostel for all the travelers that want to feel as if they were at home wherever they are. We are ready and looking forward to hosting people from all around the world. Why hostel is named Hygge? Hugge in Danish means life philosophy based on feeling yourself comfortably and enjoying every moment of life. 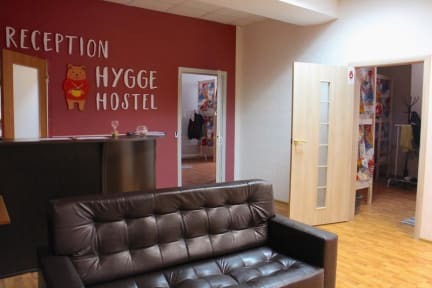 Hygge hostel is located in Butyrskiy district of Moscow. 5-10 minutes walking from the hotel - there are such interesting places as Museum of Human living systems, big modern art center Flacon and Ostankino Television Tower. 7 minutes walking- lovely MSU Botanic Garden. Bolshoi Theater is 5,6 km away from the hostel. The nearest metro station is Dmitrovskaya, Hygge hostel is 0,7 km away from it. Hygge hoste is a new hostel,opened just in June 2018. Hostel advantages: all our guests will find clean rooms, new furniture and wow service: we'll order a taxi or pizza for you, we'll recommend best bars, restaurants and places. Our disadvantage is that the hostel is located not in the very city center and there are no fashionable night clubs in the backyard. But, at the same time, it so quite here, that you will fully enjoy your time and have a rest. This disadvantage we will reimburse with a fair price. There are 2 shared bathrooms and kitchen in the hostel, as well as shared reception area with TV, games and sofa. Guests can access their rooms with individual digital keys (cards).